Captivating sunsets & views across the lake from this open water, western exposure, Tapps Island home*Expansive decking & open concept living perfect for entertaining*Great rm features vaulted ceilings, sliders to lake, hardwoods, stainless appliances*Light&bright rambler w/bonus 1/2 story*3 bedrms includes master w/walk in+add'l closet, huge attached bath, 2 full baths+2 half baths*Den/family rm*Built ins*Oversized 2 car garage*Dock, bulkhead*A/C*Generator*Potential galore & amazing waterfront! Lot Size: 0.34 Acres / 14770 Sq. Ft.
SchoolsClick map icons below to view information for schools near 3316 196th Avenue Ct East Lake Tapps, WA 98391. 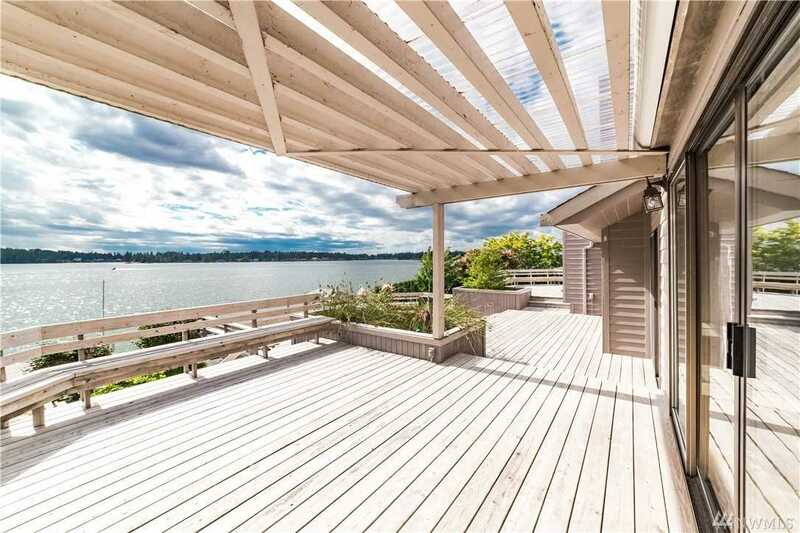 Lake Tapps Real Estate at 3316 196th Avenue Ct East Lake Tapps, WA 98391. Description: The real estate listing at 3316 196th Avenue Ct East Lake Tapps, WA 98391 with the MLS# 1401059 has been on the Lake Tapps market for 92 days. This property located in the Tapps Island subdivision is currently listed for $870,000. You are currently viewing the property details of the NWMLS listing at 3316 196th Avenue Ct East Lake Tapps, WA 98391, which features 3 bedrooms and 4 bathrooms, and has approximately 2538 sq.ft. of living area.